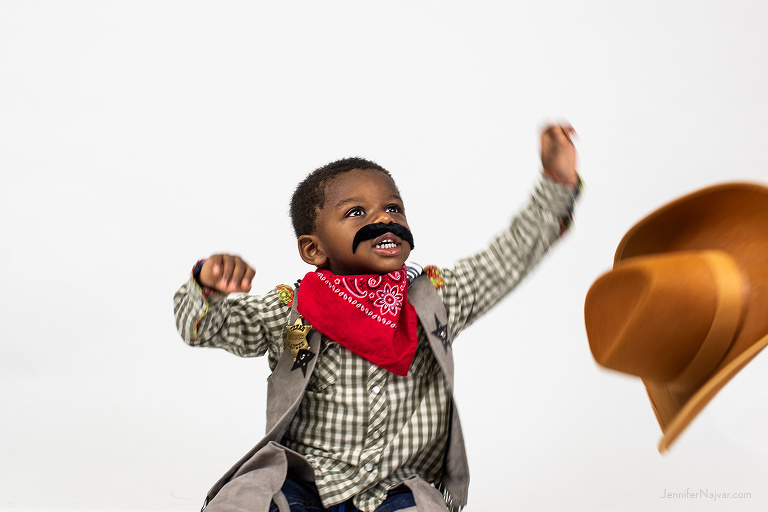 If you’re one of our regular returning families, you already know how much we love these sessions and how much we enjoy seeing your little ones in costume every October. 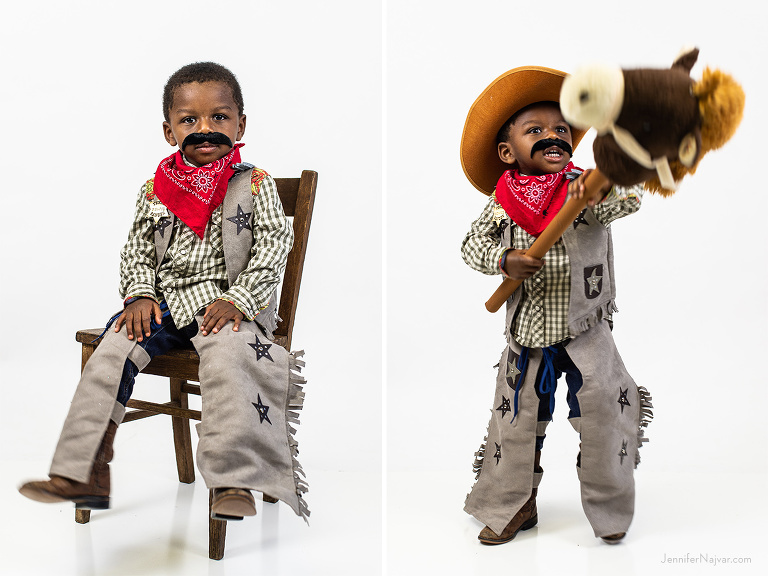 Halloween mini sessions fill up year after year because parents cannot get enough of these minimal, magazine-style portraits that offer a modern twist on a quintessential childhood image. Plus, they’re short and sweet — 20 minutes with a selection of five proofs presented for purchase — and they offer a really fun opportunity to have professional portraits taken of your children at a time when you normally wouldn’t get the chance. If you missed our mini sessions this Halloween, mark your calendars for next year, and make sure you get your name on the list so you never miss another announcement about special edition sessions. Our newsletter subscribers always get the first chance to snag these spots before registration is opened up to the public. 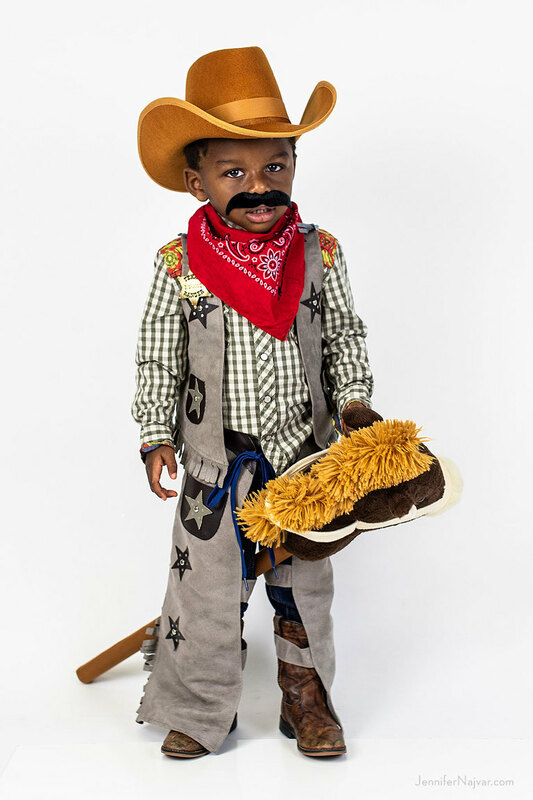 This old west sheriff is one of our all-time favorite costume collections. 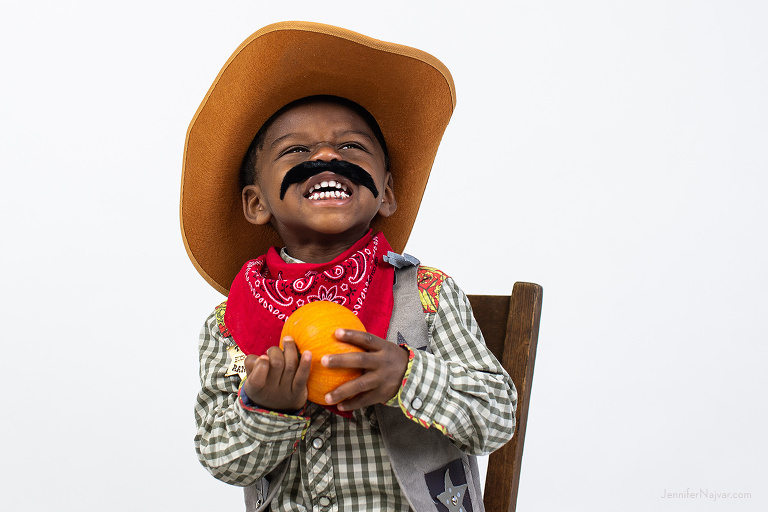 We think you’ll agree that it doesn’t get much cuter than kids in costumes which is why these Halloween mini sessions have become a studio staple. Don’t miss this sweet garden fairy Halloween costume mini session in the studio. Jennifer Najvar Photography specializes in maternity, newborn and baby photography in her central Austin studio. Halloween Costume mini sessions are offered every year as one of a series of limited edition mini session specials. Subscribers to the Newsletter always receive advance notice and priority scheduling, so get yourself on the list for the next mini session announcement.